The dog shaming book is officially on shelves today at your local bookstores (of course, it’s also available through multiple retailers online)! This book has been a long-time in the making and we’re so proud to share it with our readers and fans. So many of you have contributed to making this website such a success by submitting and commenting, sharing and laughing along with all the misdeeds of these oh-so-cute pups! 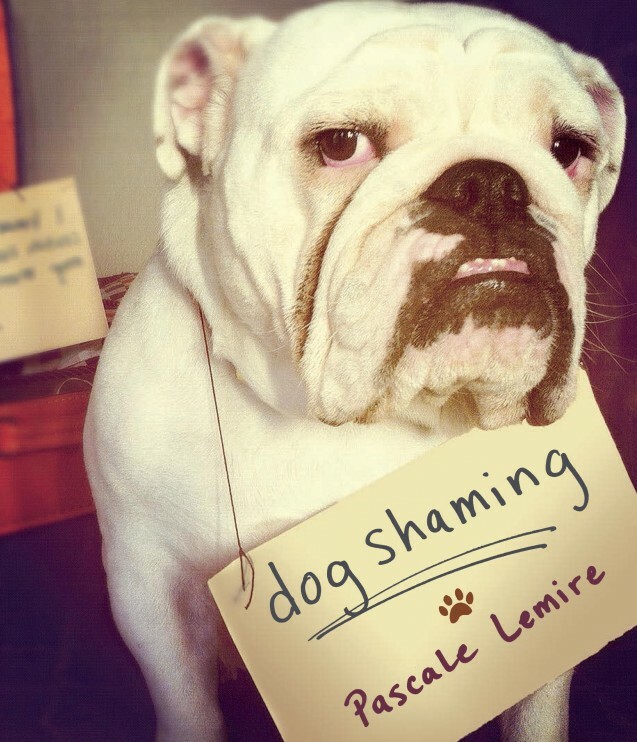 Our publishers have also created a fun, interactive dog shaming generator! Did you catch your dog in the act with your camera phone but didn’t have time to write a sign? Fear not, we’ve created a generator that will allow you to add your own sign after the fact! You can even share your dog shaming creation on Twitter and Facebook! Click here to give it a whirl! Posted September 24th, 2013 . Congratulations! Love this website, the postings make me smile everyday. Your “reverse dog shaming” has been a blast – would you consider doing it again, maybe for April Fool’s Day? It could be an annual thing. Congratulations! You deserve an enormous happy response to your book and I hope it sells out immediately! Best wishes always, and THANK YOU for the joy you bring to us all daily.